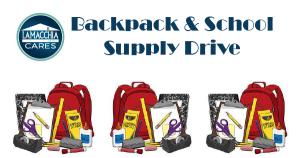 Worcester, MA – Lamacchia Realty is pleased to support the RACM Community Action Committee’s Backpack & School Supply Drive at our Worcester office. We are accepting donations now and the drive runs until August 6, 2018. For more information, click here to view the REALTOR® Association of Central Massachusetts flyer for this drive. please write “backpack drive” in the comment section.